Dr. Carmody is the Cybersecurity Program Manager for the Center for Devices and Radiological Health, serving as co-chair of CDRH’s Cybersecurity Working Group. The Cybersecurity Working Group is an interdisciplinary team responsible for the FDA’s final pre- and post- market cybersecurity guidances. 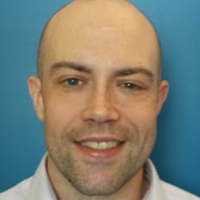 Seth joined CDRH in 2011 as a medical device reviewer.